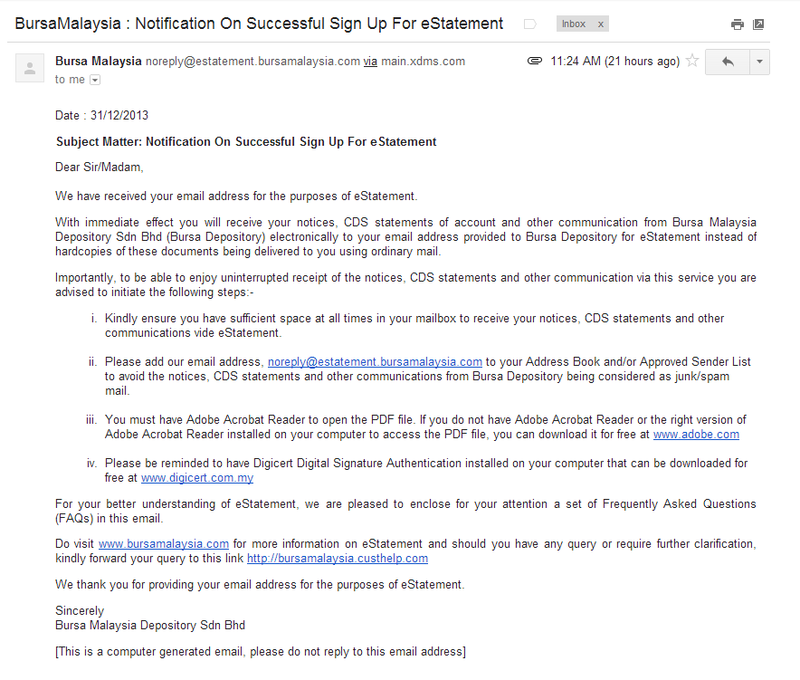 There is a new service from Bursa Malaysia that enables CDS account holders to receive CDS statements electronically via email instead of hardcopies being delivered using ordinary mail. It launched the service at the beginning of Dec last year. I guess everyone of us receive a monthly hardcopy statement from Bursa regarding the number of shares we're holding on the respective companies and I think majority of us also kind of ignoring it since we know what are the companies we bought and at the same time we also receive statements from our investment houses. So, this service is a good way to eliminate the hardcopies and at the same time save some paper. Simple log on to this link and register it. You will need a so-called password phrase for the registration. You will get the password phrase at the latest hardcopy statement Bursa sent to you. 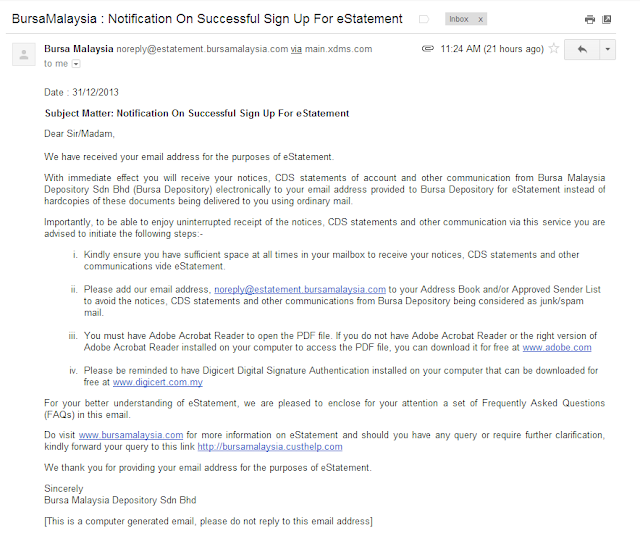 I did mine last week and received their replied yesterday regarding my successful application and will receive e-statement with immediate effect.